It's time to improve our broadband at Hampden Gardens. BT have offered to upgrade Hampden Gardens with fibre to the cabinet (FTTC) for £4,684 as part of their community funding scheme. This means that much faster broadband will be available over the existing phone lines, without placing new cables into the building. You may be wondering why your broadband seems to be very slow, at Hampden Gardens. It turns out that the cabinet at the end of our road has not been upgraded. While we are free to choose our internet service provider (ISP), BT owns the cabinet that connects the apartment to the rest of the internet. At the moment all broadband passes through a cabinet that is getting more congested, and BT have no plans to upgrade the cabinet by themselves. At the moment we are getting speeds somewhere between 2-3 Mbps for the apartment complex. This causes most online services to be frustrating to use. By upgrading the cabinet we can take that to 50+ Mbps. Improving our broadband will allow us to work from home, watch videos, online without buffering. This applies to all ISPs that offer super-fast broadband, not just BT. You are free to pick from Plusnet, TalkTalk, Sky, or whoever has the best offer. BT have quoted £4,684 for cost of connecting: 1-12 Hampden Gardens 14-54 Hampden Gardens 57-97 Hampden Gardens 1-12 The Terrace 14-17 The Terrace 87,89,91 Cromwell Road Under reference PF 03410 / CFP14724 Cherry Hinton 51 Hampden Gardens. We would pay 50% up front for BT to start the work, and the remaining 50% once finished. BT estimates that the upgrade will be finished after 12 months. It's not as fast as we'd like, but it's our chance to get the ball rolling. Congratulations everyone, we hit 20% of our funding! We've got some way to go, but we can do it. 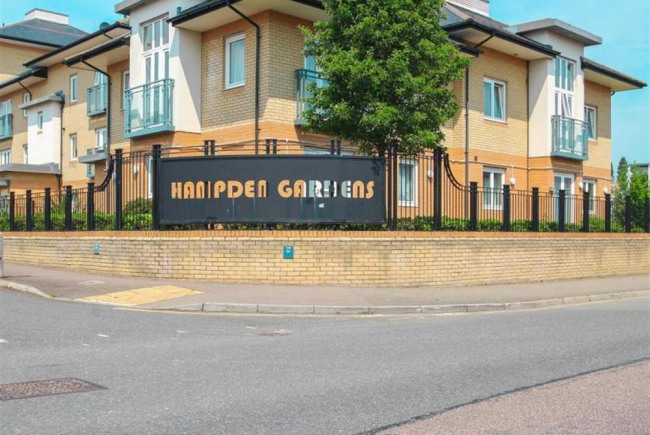 If you know anyone else at Hampden Gardens, please point them in the project's direction. Broadband, especially in Cambridge, is important to us all. Some have asked about donation guidelines. If we each contribute £100-£200 per apartment, that can put us comfortably our target. However every little helps; if you can't afford that amount even £10 is appreciated! Good news, fundraising is underway! I'm going to be out on Sunday distributing broadband newsletter #1 to encourage pledges. For a suggested donation of £100 each we can start getting faster broadband. I'm Duncan McBryde. Physicist, friendly geek, enthusasticly interested in *everything*. I'm passionate about technology and the way it impacts people. There's a good chance if you talk to me I'll wildly geusture while explaining something. I'd like to help by neighbours by improving our broadband at Hampden Gardens. 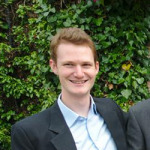 Project Delivery Manager: Duncan McBryde The Project Delivery Manager takes legal responsibility for receiving and spending the funds raised and ensuring the project is delivered.